One of our most important roles is caring for large stretches of land and rivers, rich in natural wildlife and biodiversity. The Town & Manor cares for over 140 hectares (about 350 acres) of land around Hungerford, including The Common to the east (about 200 acres), Freeman’s Marsh to the west (about 90 acres), Hungerford Marsh Nature Reserve (28 acres) and Harvey’s Meadow (about 30 acres) to the north east of the town, and extensive fishing along 5.3 miles of the rivers Kennet and Dun, and 3.2 miles of canal. You can see the areas that we cover here on our map. Much of this is of High Nature Value. This Natural Capital (soil, freshwater, vegetation and wild species) is a vital resource, providing ‘ecosystem’ services that benefit everyone, such as clean water, unpolluted air, pollination, food, carbon and floodwater storage, a productive fishery and green spaces for people to enjoy. Much of our land is designated as Sites of Special Scientific Interest (SSSI), you can see which areas in England are SSSI on the MAGIC land information map. Over the past 10 years we’ve been supported by, and worked closely with, other organisations to maintain and restore nature found on our land and watercourses. Grants for this work have been received through Environmental Stewardship agreements with Natural England. 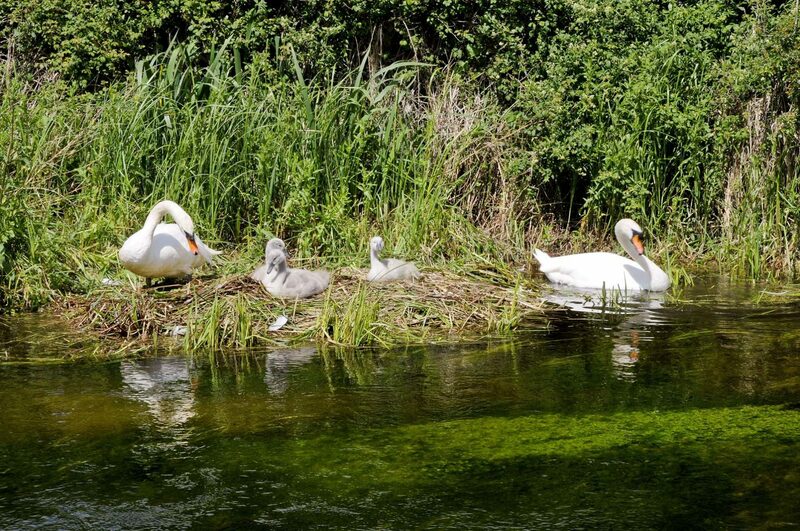 The Environment Agency has provided grants to support river restoration projects, while British Waterways and West Berkshire Council have helped us to restore the Kennet & Avon Canal at Freeman’s Marsh and to stop pollution from the A4 entering the SSSI land and watercourses at Edington Marsh. Fertilisers and herbicides are not routinely used. The wet grasslands in the valley bottom support a considerable diversity of wild plant species, including orchids, bogbean, marsh marigold, cuckoo flower and many other plants that have disappeared or become much rarer across Berkshire over the past 60 years. Wild flowers are also returning to the extensive grasslands at Hungerford Common, where routine use of fertilisers and herbicide ceased some 10 years ago. In April, you might notice the white flowers of meadow saxifrage growing at Hungerford Common – although it’s still confined to areas where herbicides and fertilisers weren’t used (such as rough ground near the railway line and beside the road) we expect this to spread over time. 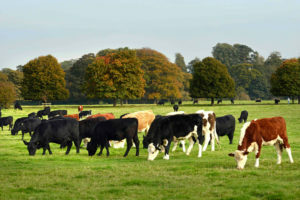 Grazing is vital to maintain the grassland areas, so we arrange seasonal cattle-grazing across all the pastures at a level which will also encourage the wild flowers to survive and increase. Some areas of pasture are cut (‘topped’) from time to time. We do this to reduce the quantity of coarse grasses, rushes and sedges. Topping helps to restore previously under-managed marshy grasslands and so recover their diversity of wild flowers. Scrub has become a much rarer habitat in recent decades as farmers do not get paid for keeping it. However, we have significant patches of scrub which offer vital habitat for bug and birdlife. 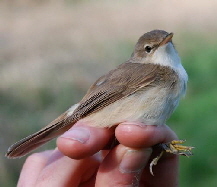 Scrub needs periodic cutting so that it doesn’t spread into flower-rich grassland, and to provide a continuity of low bushy growth that is favoured by many small birds such as Cetti’s warbler, reed warbler, dunnock and nightingale. There is a programme of scrub management across Town & Manor land – so if you see scrub being cut down and are concerned, please be reassured that this is being done to maintain and recover habitat for wildlife of grassland or scrub habitats, to reduce overshading of important areas of the rivers, to maintain a boundary or keep a footpath clear. Parts of the Rivers Dun and Kennet, and tributary streams to them, flow across our land. These are chalk streams, which are internationally important for their variety of plants and animals. The Town & Manor has, over the past 10 years, carried out work in these rivers and streams that has been very successful in restoring aquatic wildlife. Fencing the rivers to prevent cattle and dog access, coupled with building brushwood flow deflectors, encourages the deposition of silt in previously over-widened reaches. Plants rapidly colonise these areas, providing habitat for freshwater shrimps and other aquatic buglife. 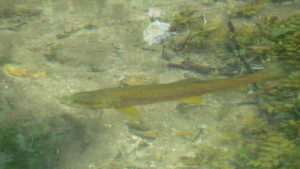 The faster flow mid-stream naturally cleans the gravel on the river-bed, providing ideal and undisturbed conditions for wild brown trout and grayling to spawn. 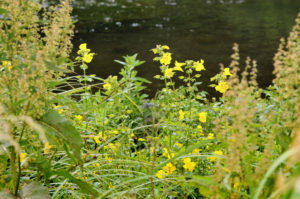 Visit The Fishery for more information on the rivers and streams under our care. The Town & Manor is also the custodian of many trees including 400 year old English oaks and ancient hedgerows. We have a policy of replanting when trees die and need replacing, and have replanted a hedge on one of our ancient boundaries (present in Domesday) on Freeman’s Marsh. 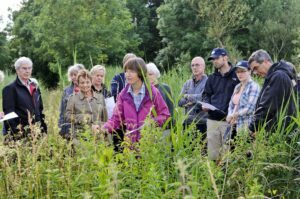 Why not join one of our expert-led walks or trailer rides to find out more about the local area, and our conservation projects. Find out more in Things To Do. Or feel free to wander around some of our beautiful local countryside, and see what wildlife you can spot.